Everything needed for all types of building and wood working projects. A real tool set that contains an actual 12" L. steel saw, 3 screwdrivers, a sturdy wood and steel hammer, pliers, carpenter's ruler and more. Have your little one working on projects as a youngster. He can help mom and dad or even do his own thing. 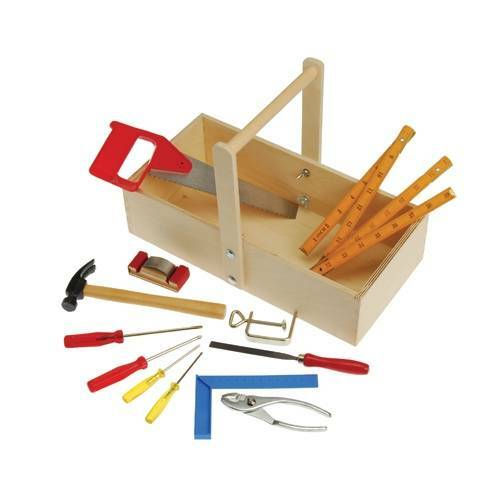 With these real children's sized tools your child will be building in no time. For ages 8 yrs. +. (Younger with adult supervision).